Studio Ghibli, founded by Hayao Miyazaki and Isao Takahata, is arguably one of the most prolific animation studios to ever exist. Although more widely known for their films like My Neighbor Totoro, Princess Mononoke, and more recently Ponyo, Miyazaki’s visionary film Spirited Away was released and took home the Academy Award for Best Animated Picture in 2002. Spirited Away is also listed among the British Film Institute’s Top 50 ‘films you should see before turning 14’. The film opens with ten-year-old Chihiro and her family moving to a new neighborhood; but things quickly take a turn for the worse when her parents stop at an unattended amusement park. After her parents are turned to pigs, Chihiro must navigate her way through the spirit realm that inhabits the park in order to return back to the human world and save her parents. She soon finds that the evil witch Yubaba, owner of the bathhouse within the amusement park, is both the reason for her parent’s transformation and the only one capable of granting their return. Yubaba quickly puts Chihiro to work in the bathhouse where she encounters a multitude of extravagant and unbelievable spirits that prove both beneficial and detrimental towards her efforts to return home. Much like Miyazaki’s other films, and more blatantly expressed in My Neighbor Totoro, Spirited Away takes a focus on the natural world through the characterization of the ‘magic’ which nature possesses. The spirits that inhabit the bathhouse in the park are all manifestations of different natural entities, be they rivers, mountains, or the forests scattered across Japan. Through the interactions between Chihiro, a human girl trapped in the spirit realm, and these spirits, Spirited Away explores the intricacies of the relationship between man and industrialization, as well as both their impacts on the natural world. 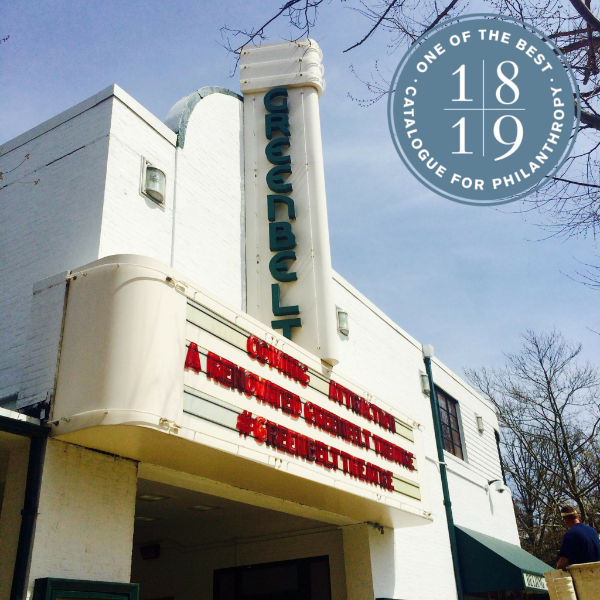 Catalogue for Philanthropy: Greater Washington has selected Friends of Greenbelt Theatre to be part of their Class of 2018-19!